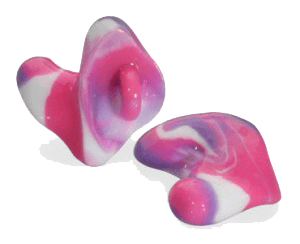 What Are the Benefits of Custom Fitted Earplugs? Custom earplugs work instantly, and are outfitted to be extremely comfortable. You probably won’t even notice they’re in your ears, because they are made specifically to fit perfectly! If you’ve ever used earplugs, you’re probably familiar with the cheap kind made of squishy, foam-like material. They work by compacting them with your fingers, placing them in your ear canal, and then they expand to take on the shape of your ear in order to block out noise. They are functional in most cases, of course; if you need them to sleep, in particular, they can be useful. However, custom fitted earplugs can be extremely beneficial, as well. Read on to find out how! If you need to listen closely to amplified music as your day job, custom fitted earplugs can be vital. Foam earplugs work for a short amount of time, but they do end up blocking certain frequencies rather than muting the sound on an even level. Sound technicians must be able to listen to the high and low pitched sounds of music in order to adjust the frequencies for a better sound quality. Musicians, in the same vein, can get thrown off by having certain frequencies completely blocked, while others stay muted. It’s also much more comfortable! After a while, disposable earplugs become uncomfortable, and they may fall out. They also take a few seconds to expand, meaning you cannot immediately start working until they do, and it’s possible they may do this incorrectly. Custom earplugs work instantly, and are outfitted to be extremely comfortable. You probably won’t even notice they’re in your ears, because they are made specifically to fit perfectly! Foam earplugs can usually make it difficult to hear quieter sounds, such as human speech. This is because of the way they block frequencies; you will hear muffled and unclear sounds rather than gentler ones. However, custom earplugs can simply turn down the noise without muffling it. That way, you’ll have no trouble hearing sounds that aren’t as loud as amplified frequencies. Bay Area Audiology provides top-notch custom fitted earplugs! This entry was posted on Friday, February 10th, 2017 at 6:26 pm. Both comments and pings are currently closed.